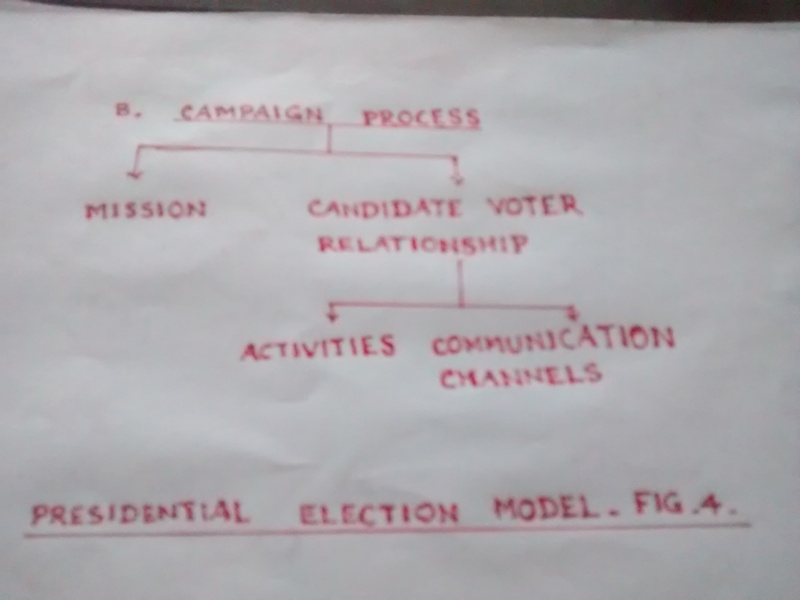 ” American ‘Presidential Election Model’ made Simple ” – June 2016. That 2016 Presidential Election in America is of great import and consequence not just to the nation (America) but to most countries of the world is more than plainly evident to many. There seems to be a great upheaval with intense changes afoot in the manner the campaign initiatives will take course and evolve – just as in businesses companies facing groundbreaking changes and competition would renew, redirect, and reestablish procedures and processes. The presumptive Presidential nominees of both the major parties (Democratic and Republican) will be associated with the American Election History in terms of their unicity – Hillary Clinton (D) being the first female Presidential nominee of a major political party, and Donald Trump (R), the first outsider winning the Presidential nomination through near self funding. People will now be keenly watching the “value premises” that both candidates can offer to the nation and the world. This alone can distinguish and set them apart in the race to the White House. 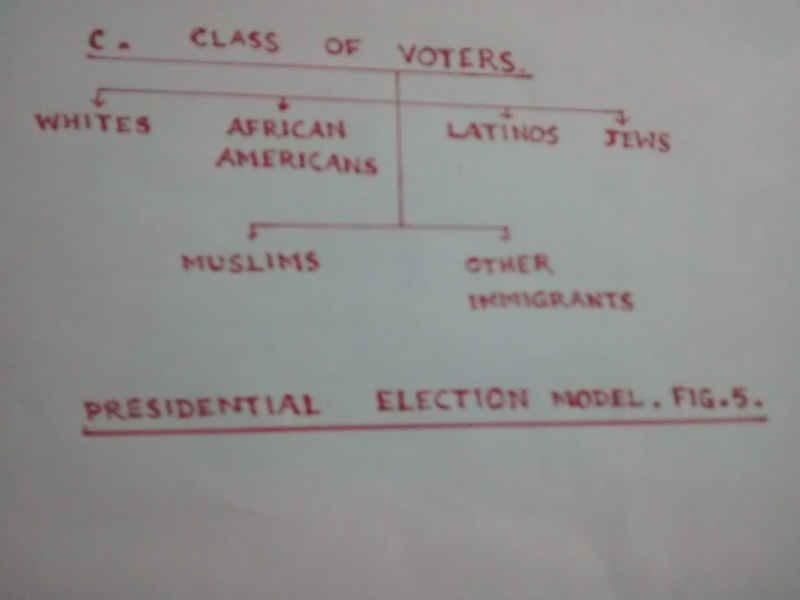 Detailed below is an outline of the “American Election Model” with little elaboration. The three phases of the American Presidential Election. 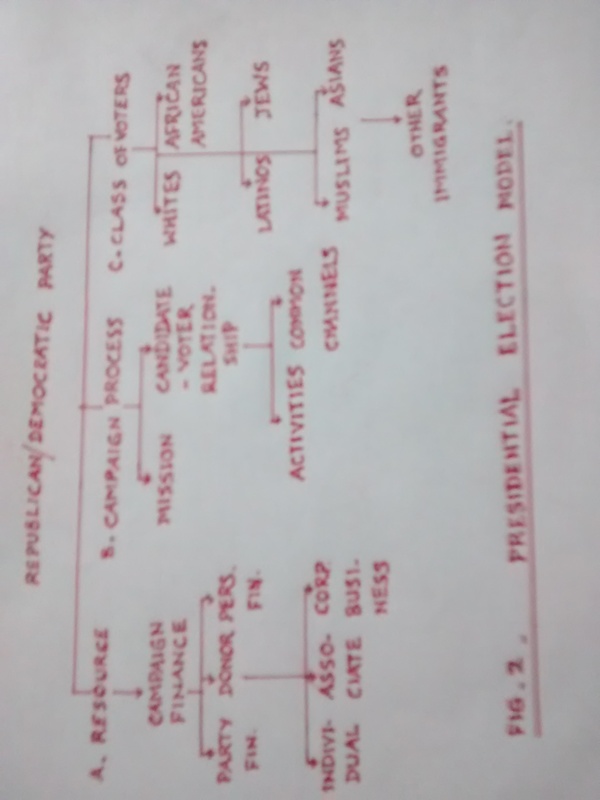 Phase I constitutes the Primaries when the focus is mainly on achieving the party nomination, and dominated by the strengths and weaknesses of the candidates with less attacks on the rival party. It generally assumes a linear progression. phase II constitutes the duel between the presumptive nominees of the major parties centered on the performance record of the incumbent government vis-à-vis the national and global challenges in addition to the proposals to meet the growing challenges as seen by the candidates on issues of importance. The campaign in this phase gets energetic and forceful with the curve taking a ‘steep progression’. The resultant impact on the voters is strong. Phase III constitutes the Presidential Debate phase where the candidates on a tete-a-tete (one-on-one) get an opportunity to defend and substantiate their ideas while countering the opponents with specific plan of actions. The curve in this case assumes a progression that is somewhere between that in Phase I and Phase II. Impact on voters continues to be strong while a majority of undecided/independent voters make up their minds in favor or otherwise of a particular candidate. American “General Election Model” made simple in this piece. The model comprises three sections viz. 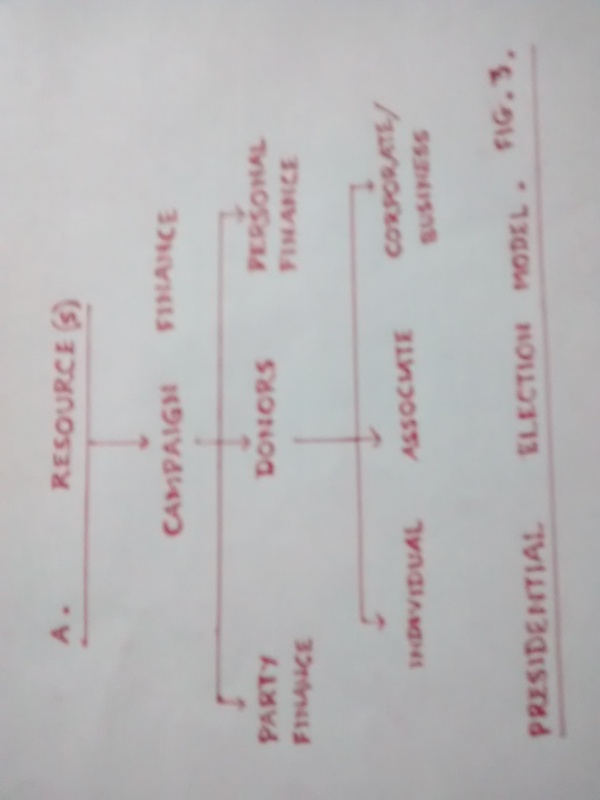 (A) Resource(s); (B) Campaign Process; and (C) Class of Voters. (A) The candidates view their ‘revenues’ in terms of Campaign Finance and how it can be raised and increased. It could be from the party pool; donors (individual, associates, and corporate/businesses); and personal finance. What is the total amount, and how the donors are attracted constitute the strategic moves. (B) Here a ‘mission’ statement is designed reinforcing the ‘value premise’ – (as for e.g. Donald Trump’s “Make America Great Again”); What the candidate needs to attempt is to attract voters (both existing/loyal and new) with ideas/programs/plans for the nation’s growth – just as in business new elements/features/applications are added to the product – reflecting on the emerging new situations/directions and keeping track of the changes in economy/trade/security/health/education etc. which will influence financial, social, and emotional status alterations in the habits of the people. Design activities comprising Election meetings, town hall meets, volunteer activities, door to door campaigns and the likes addressing the party’s messages and promises to increase the % of support base need to be accelerated. The Campaign coverage may include print media; social/digital media; TV time; propaganda Videos; pamphlets; slogans; free accessories; stump speeches; .. … .. constituting the communication channels. 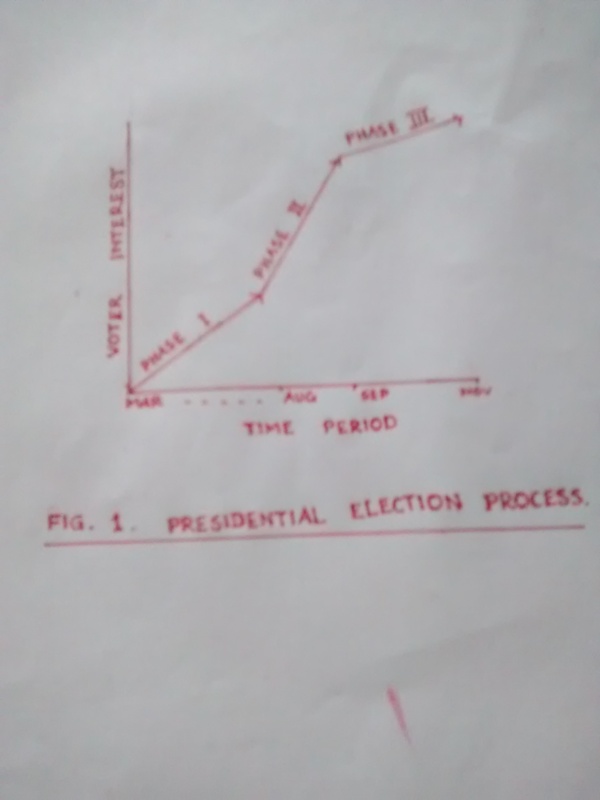 The candidates need to clearly indicate where they want to take the nation in, say, immediate terms (1 to 2 years); medium term (3 to 5 years); and long term (10 years and beyond) exciting the people with credible ideas and information. What impact these ideas, simple as well as transformative, can make to the nation and how the people will benefit are the key imperatives here. (C) People who vote constitute the judges determining the success of any candidate. They comprise in this case male(s) and female(s) – Whites, African Americans, Latinos, Jews, Asian Americans, Muslims, and other immigrants. What the candidate needs to do is to match the ‘value premise’ to all these segments of population in ways appealing to each group. The candidate needs to get to the point swiftly in the next couple of months. It is more than just necessary in respect of these diverse groups to be specific and realistic with suitable action plans to say what the candidate wants to do lest misinterpretations evoke adverse reactions. It is incumbent on the candidate to be certain and prove beyond any doubt the voters of his/her programs and the benefits that they will realise. In sum, it will be interesting to watch how the two major candidates travel the next two phases of their campaign journey (s) with plans to influence securely, socially, and financially the concerns of the people ! Tidbit : ” In an Election year it is not necessary to fool all the people all the time – only in the period just before the Election “.